Kim Kyeo-ul, called Winter Kim (kyeo-ul means winter in Korean), is a singersongwriter, once a radio host, and now a Booktuber. She majored in Psychology and Philosophy at Korea University (KU). Her interests are varied, but the best word that describes Winter Kim is "a book maniac." Books have been her best friends as long as she remembers, and now she cannot imagine a life without books. With an enthusiasm to share the joy of reading with others, she started running a Youtube channel, Winter Bookstore. With her fans, she is introducing not only the book itself but the happiness a life with books provides. 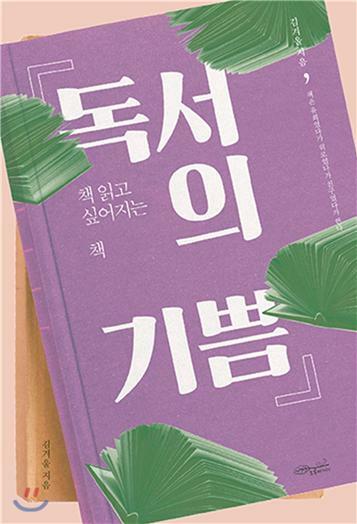 While books are often regarded as a distant friend everyone wants, but fails, to be close with, Kim Kyeo-ul ('10, Philosophy) is proud to say that a book is neither far away nor difficult to understand. Her Youtube channel, Winter Bookstore, is shot in a small attic where she tells how a book became her best friend. Now, with thousands of fans who came to understand the joy of reading, her talks are changing society. GT: Reading is often seen as a very silent, isolated hobby. How did you decide to communicate with others and become a Booktuber? Kim: I have already been reaching out to people as a singer, so hosting talks was not very difficult for me. I found I wanted to communicate more after spending half a year as a radio host for Mapo FM, and I brought books into the mix because those were my best friend. Contrary to some expectations, my Youtube channel is not for garnering fame or success. All I want is to share what I love. GT: As a Booktuber, how do you talk about books while not revealing all the fun in them? Kim: My book reviews mainly focus on my own feelings while reading the book. Above all, the main purpose of my channel is to share the joy of reading books, which I believe comes from experiencing various emotions. Movie critics do make two types of reviews, one with and one without spoilers, and I am also planning to make an in-depth book review with some unavoidable spoilers. GT: In your channel, there are various videos that include not only a simple review of the book, but also entertaining videos recommending teas that go well with it or a reading of random pages in random books. Where do you get all these ideas from? Kim: Book reviews lack fancy visual attraction because a series of pages or the book’s cover is all I can show. So, I focus on diversifying topics and try to utilize the structure of Beauty Youtubers’ videos, the way they review cosmetics or show their daily routines; my first video was about unpacking free goods from the publishing company. In recent days, comments are the main source of ideas. I may have to spend the rest of my life filming these videos to do all the recommendations my subscribers have offered up. GT: How could books become so fun to you while many take them as a burden? Kim: Countless people have asked me how to get used to books. I really have no special tricks, books have been a close companion as long as I can remember. Once, my family found a photo of me holding a book between my toes because my hands were getting an acupuncture treatment. What made me interested in books at the start now eludes me, but reading has become so comfortable now that I just naturally pick up another book when I have time. GT: What factor do you consider the most when you choose a book? Kim: I have been asked this question so many times, but my answer will always be “what constitutes a good book is different for each person.” Although I do believe there is indeed a significance in books we often call classics or masterpieces, people’s tastes in books are bound to differ. If you want to meet the right literary mate, all I can say is just dive right in and try things out. I now rarely fail in selecting interesting books, but that is simply because I have established a huge database through many failures and successes. But to give a little help, I recommend looking carefully at the index. A good book often times has a well-organized index. GT: As you have published your own book, Joy of Reading, you now have experience as both a reader and a writer. How do you think those two ways of enjoying a book are different? Kim: Taking in already written words might seem passive because the reader does not need to produce something new—unlike writing, which requires a painful process of creation. I would say reading can indeed be active because readers can come up with their own questions from the book and find their own answers through repeated readings. Meanwhile, writing felt more like talking to myself. My work was all about my own thoughts, and it felt quite lonely to do. Despite all that, it makes me happy to think that a reader out there somewhere is bonding with what I have written. GT: When was the most rewarding moment as a Booktuber? Kim: Although I started my Youtube channel purely for fun, I am really glad when I find comments saying the viewer has come to enjoy reading after watching my videos. Especially for my young subscribers attending elementary or middle school, I am really glad that I could share the fun of reading I felt when I was little, too. Young students just do not read as much as the past nowadays, and I am proud my efforts are doing something to change that. GT: What i s your goal as a Booktuber? Kim: I admit that reading is certainly a hobby with a formidable barrier. So, I believe the best way to become familiar with books is to have a strong motivation to read, and to not lose interest in them. That motivation could come from somebody's recommendation, a nice book cover, an interesting title, and maybe even Youtube videos like mine. A Booktuber’s job is, to me, to offer constant motivation to subscribers and keep their spark of interest in books from fizzling out. This is why my number-one concern in my videos is to keep them high-quality. GT: Lastly, what would you like to say to KU students? Kim: I want to say that it is okay to take your time and go for what you want. All students do their entire lives are spending every second studying and competing. You have made it to university, and now it is time to search for and do what you really like to do. If you want to experience the wide world, you may go traveling, and if you want an economically stable life, then you should prepare for job interviews. Although I myself am only a few years older than you all, in my experience, the reality is not as gloomy as one can imagine. Once you have a goal set, there is always a way to make it come true.